Video Chat "Spin the Bottle"
Bottle Game is a chat with familiar with childhood game expanded its boundaries. Simple Bottle Game in its online version wins more and more fans, crossing language barriers. Now to become a party of this intriguing and incredibly interesting virtual world cannot just Russian-speaking users but now Bottle Game is available in 9 languages: Arabic, Chinese, German, English, French, Hebrew, Italian, Portuguese, Latvian, Spanish. Therefore Spin The Bottle became even more interesting. Do you remember that children's sense of tremulous expectation that you experienced during Spin the Bottle with your friends and strangers? 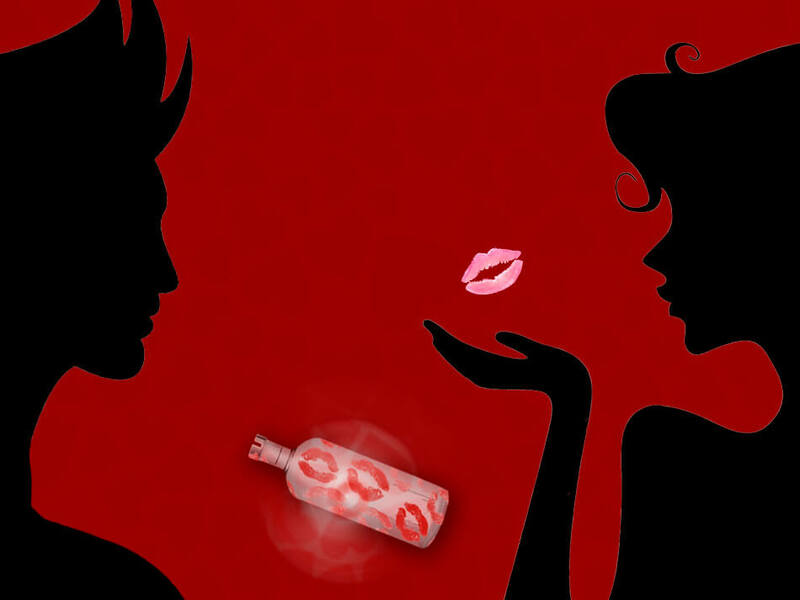 Bottle Game virtual world will allow you to feel all those emotions again, adding to them a lot of new, pleasant and quite spicy sensations! Even if you've never played Spin the Bottle, you need to play this game just once and you will be stay it’s fan forever. Excitement, multiplied by flirting, jokes, bright holiday atmosphere, playful company and, of course, kissing - all this and more our online chat, based on the popular game "Spin the bottle", offers its users. To whom will point the virtual bottle neck, you will learn in one of the Kisses chat rooms - quite so some sections of the portal are called. "Wish room", "Guess room ", "Perfect couple room" are waiting for you here. The rules are simple: kiss and meet people! For those who like to add extra piquancy to a virtual gameplay were created nudists sections and strip games. You don’t have possibility to communicate and play in video chat? Do not worry! Visit Bottle Game "FotoKiss" room and enjoy the game, just upload your photo. Spin The Bottle really blurs the boundaries. And not only international, but also technical. Today virtual "Bottlegame" is available with desktop computers and mobile devices for speaking Hebrew, Russian, Arabic, Chinese, English, German, French, Italian, Latvian, Portuguese people. And the creators of the project plan to expand this list! Play Spin the Bottle just got easier! Do you spend a lot of time communicating with your friends in social networks? Virtual "Bottle Game" as a gaming application exists in all big social networks! And just this is an eloquent indicator of widespread popularity of the game. Do you prefer to access the Internet from mobile devices? Our application also adapted for them - a virtual "Bottle Game" works fine on Android and iOS! Unfortunately, at the moment to play Spin the Bottle online without registration is not possible. You must have a profile. Bottle Game has become much more than just a game - it is a portal where people meet, chat, flirt, find new friends, meet true love.